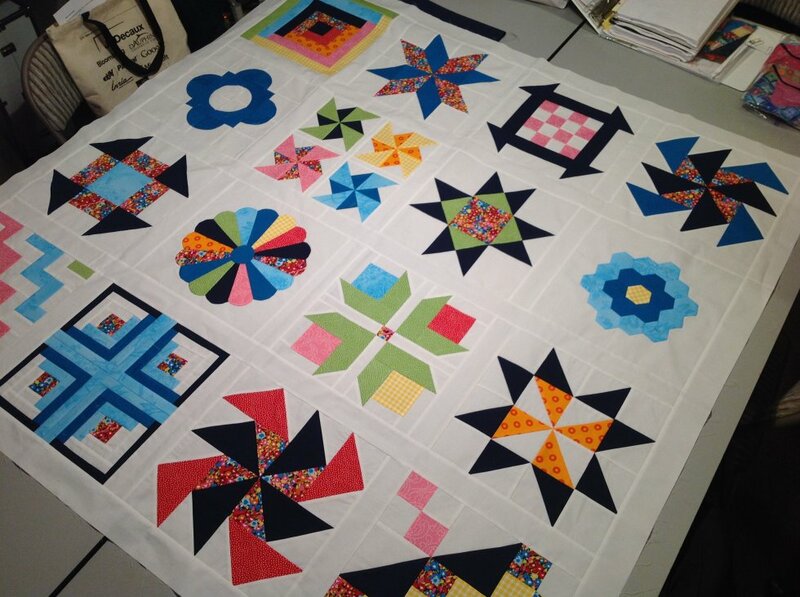 This Beginning Quiltmaking Class with Desa Omli is our number 1 class for new quilters or new again. 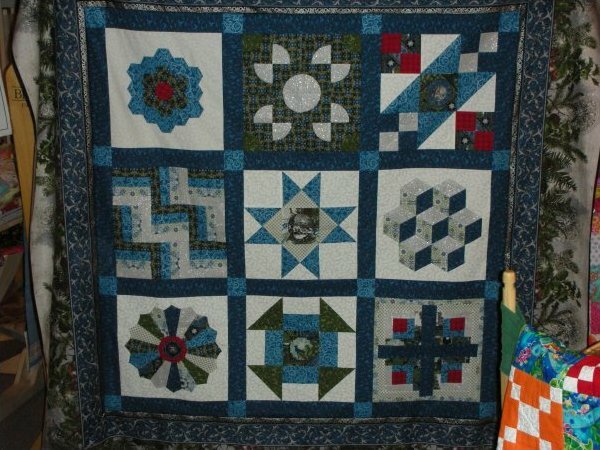 The eight week compresnesive course teaches all the components of quiltmaking by way of a sampler quilt. From start to finish students will learn all essential elements to make their first (or second) quilt. 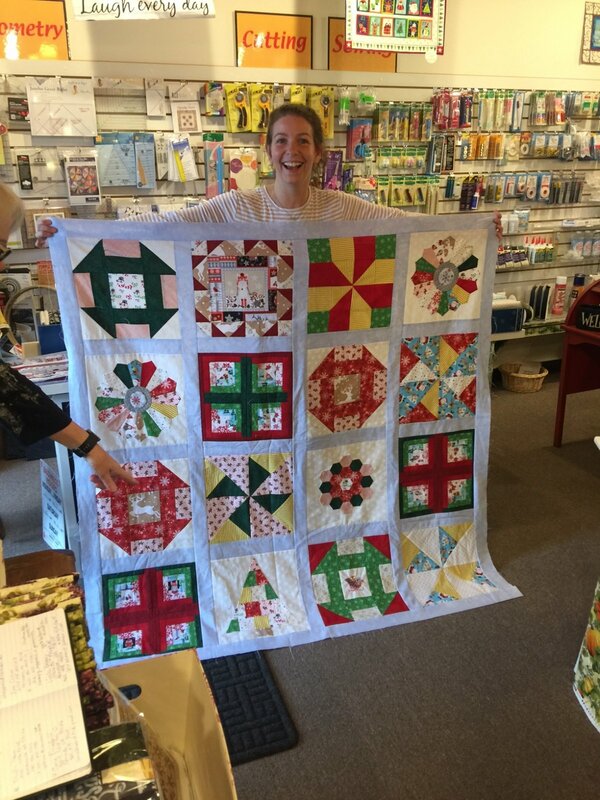 After graduation, you are on your way to becoming an accomplished quilter having just learned all the important skills by one of the very best instructors in the area, Desa Omli. 8 week series, $160 offered 3 times a year. Fall, Winter and Spring. Class meets Wednesday evenings, 5:30pm-8:30pm or Thursday mornings, 10am-1pm. Next series begins April 3 & 4, 2019 Email Susan to get your name on the list for this very popular class. 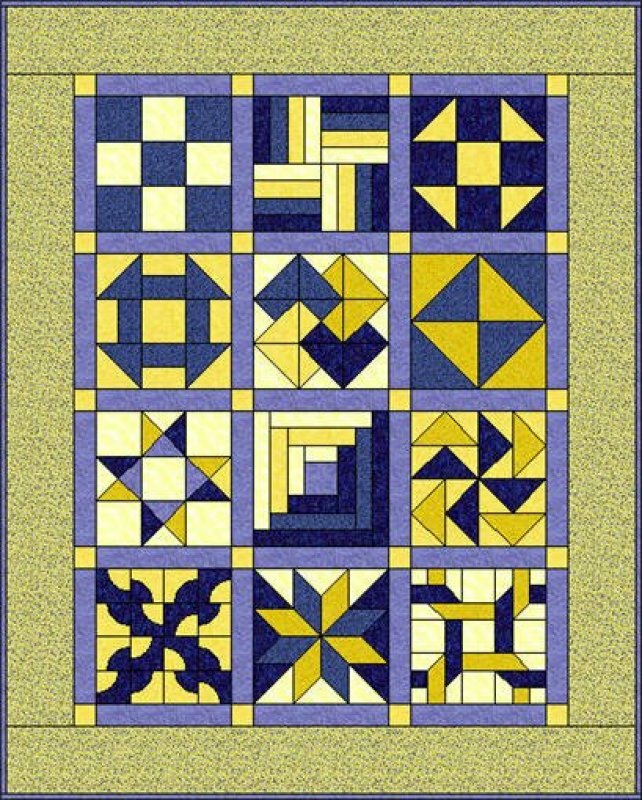 Here is an example of a typical sampler quilt. You will make similar blocks in Desa's class. A sampler teaches various skills in each block. From selection of fabrics to accurate cutting, piecing, English paper piecing, applique, and quilting, see why this class is the number one class for new or new again quilters.